Now we’re really getting down to it. Last week’s look at Father Jamison wasn’t so much a crisis of faith as a crisis of desperation; after all his suffering, to judge from his final act this week, the Father still believes. But he’s just about the only one. No one else believes anymore, in anything. The nihilist teens have gotten up to sacrilege, kidnapping the Baby Jesus from his manger (it’s Christmas!) in order to defile him. Only when it comes to it, Jill can’t really do it, and the Wonder Twins (who are trying to be cool but still have each other and so aren’t as lost as everyone else) ultimately retrieve it and return it to Chief Garvey (Justin Theroux). Who shouldn’t even have to be bothering with the stupid Nativity, but the Mayor thinks it’ll be a “win” for him. It laughably isn’t when he finally does show up with it in public, because it’ll take more than that to address the general apathy he is (in his own crude and not insightful way) fighting against. He’s going to find that bagel. He’s going to find that baby. He’s going to reunite these families (including his own). He knows the Guilty Remnant (who have abandoned all concept of family) are his biggest enemy, and so he tries to ensnare them in a web where they can be publically arrested. 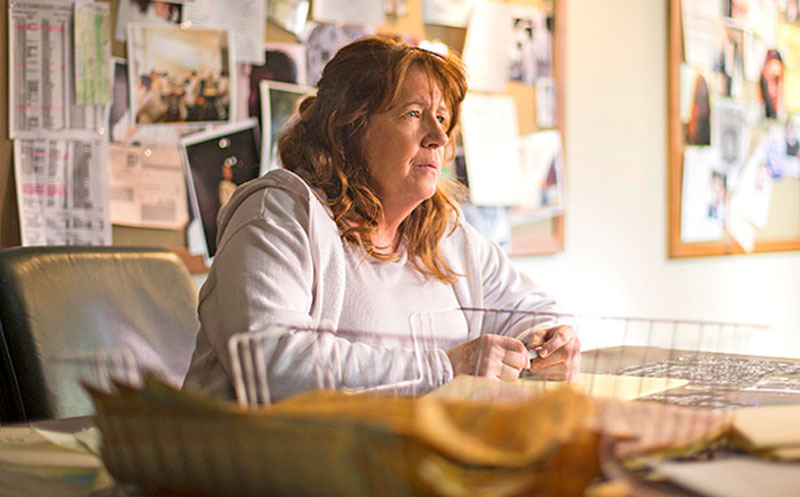 Only Patti (Ann Dowd) is much too smart for him, and has a criminal plan of her own. She’s also the one pushing Laurie (Amy Brenneman) to break her family ties, so she shows up at the Garvey House with Meg (Liv Tyler) to deliver the explanation as she gives Kevin divorce papers. Harsh. Also Jill (Margaret Qualley) gives her a present (a nice engraved lighter). Laurie throws this in a drain because she’s in front of Meg when she opens it, but she goes back later (and of course it’s just out of reach) because she really does want at least a remembrance of her daughter. And probably her husband and son. 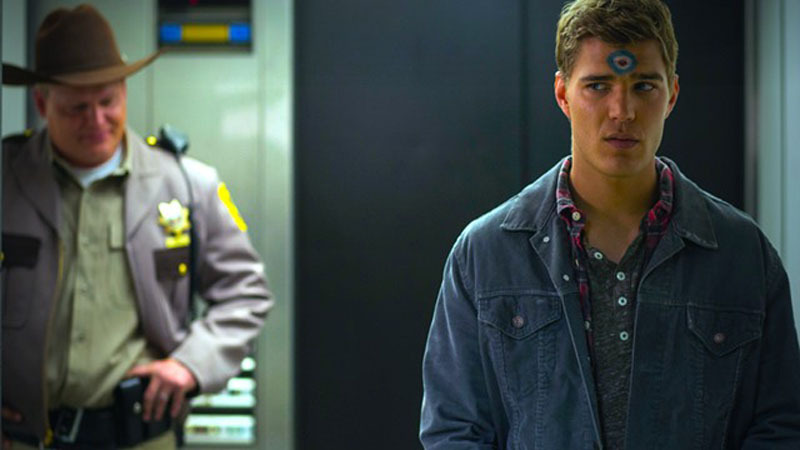 It turns out Tommy (Chris Zylka) is the child of a previous husband, whom Kevin somehow saved her from. Messy all around. We’re reminded that the baby is just made of plastic, and the more sculpted one (“I had a spare!”) that the Reverend replaces it with is no more attractive. Just hopefully more permanent. In Christine/Tommy news, she’s attacked by a pants-less stranger who dreamed of her standing among corpses. Tommy helps her escape, but she’s injured and when they get to a hospital he’s suspected of bruising her. He freaks and runs off to have a crisis of his own, but comes back for her with a new plan and a disguise. In a very surreal scene, she (Annie Q.) does end up dancing among a spill of corpses (actually mannequins built for interment of those who Departed) along a highway. Which doesn’t make much sense but is a nice surreal image and speaks to the supernatural aspect the show keeps mixing in randomly. So yeah, we get it: symbols are plastic and meaningless. But that’s only true until you decide to believe, and we have no idea yet what the reaction will be to the burglary of family photos staged by the Guilty Remnant during the party. I for one am getting pretty tired of those creeps.